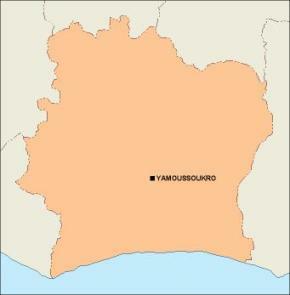 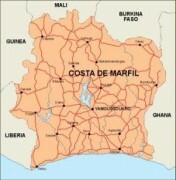 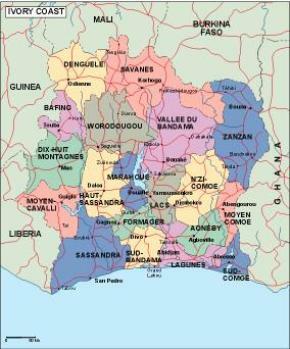 The Republic of Côte d’Ivoire or Ivory Coast is a country in West Africa. 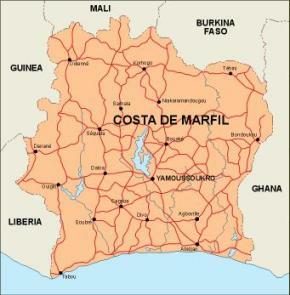 It has an area of 322,462 square kilometres, and borders the countries Liberia, Guinea, Mali, Burkina Fasoand Ghana; its southern boundary is along the Gulf of Guinea. Côte d’Ivoire is a country of western sub-Saharan Africa. 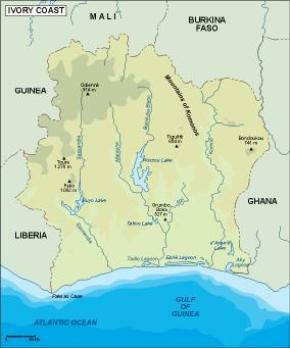 It borders Liberia and Guinea in the west, Mali and Burkina Faso in the north, Ghana in the east, and the Gulf of Guinea (Atlantic Ocean) in the south. 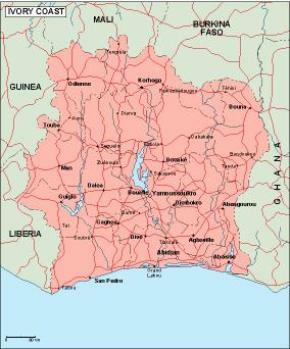 The country’s population was over 20,000,000.